Join Kala’s After School Studio for fun art making throughout the school year! Enrollment is for the duration of the academic year, September 11, 2018- May 30, 2019. Choose 1 or 2 days per week. If you select the payment plan option, 10% downpayment is required to enroll. The balance will be charged automatically in monthly installments through the end of the program year. See payment and cancellation info for more details. Location Kala Art Institute is located in the historic Heinz building on the corner of San Pablo and Ashby Avenues. Enter the Kala Gallery to access our Community Classroom at 2990 San Pablo Ave., Berkeley 94702. Transportation BUSD transportation is available from the following school sites for grades 1-3: Berkeley Arts Magnet, Cragmont, Oxford and Washington. Your child will be met by a Kala staff member at the BUSD bus stop on San Pablo Ave. & Grayson St (there is a temporary stop 10th & Grayson while there is construction on San Pablo) and walked to our site. Our academic year program follows the Berkeley Unified School District schedule. We do not offer holiday programming at this time. Daily Schedule As students arrive they may choose to play on the lawn and enjoy a snack outside. 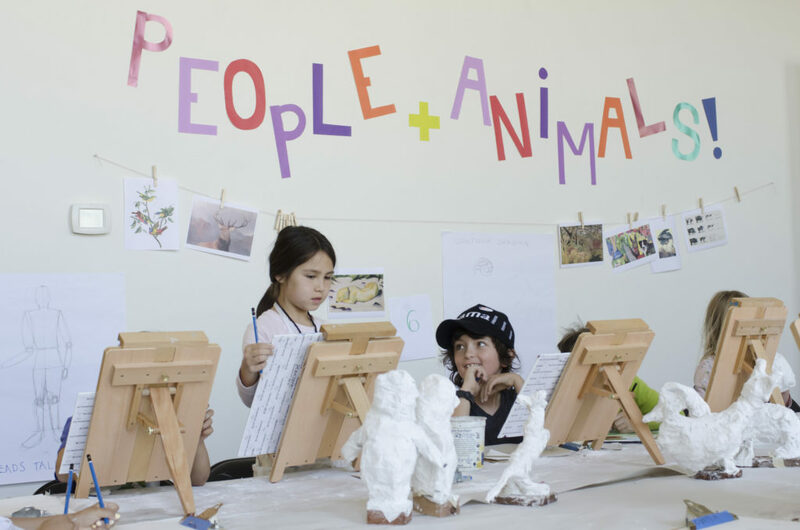 Once inside the studio, choose self-guided art activities, reading, legos or games. 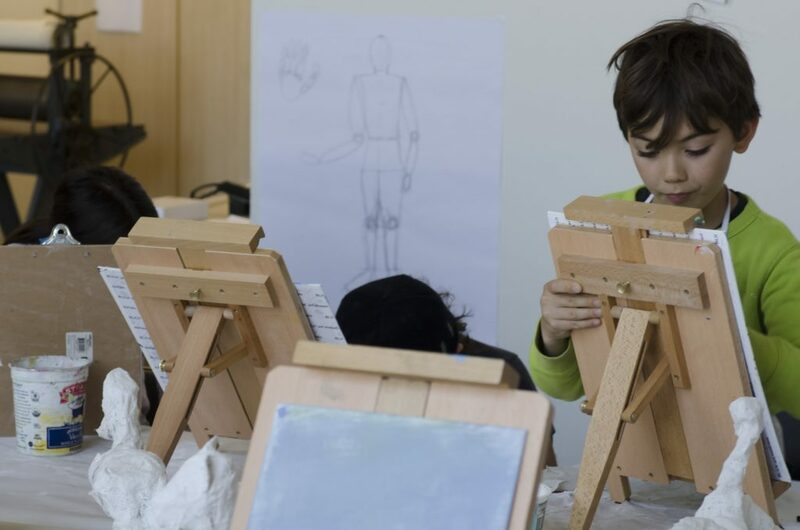 Then dive deep into a guided art project with Kala’s Teaching Artists. Payment and Cancellation Info Your total tuition will be based on the actual number of days in the BUSD calendar on the day of your program. If you select the payment plan option, 10% of the annual tuition is due at the time of enrollment, then the balance will be divided into equal monthly payments, regardless of the number of meetings in that specific month. For example, if you enroll in one day per week the cost is $42/session for 34 weeks, a total of $1428 for the school year. When you select the payment plan option, $142.80 will be due at checkout. Then you will be automatically charged $142.80 per month for the duration of the program. If you enroll in the program two days per week, the daily rate is reduced to $40/session ($40 x 2 days per week x 34 weeks), a total of $2720 for the school year. The payment plan option is $272 down and $272 per month for the duration of the program. Payments are automatically debited on the first day of the month from September-May. Your payment will be pro-rated from the time you enroll through the remainder of the school year, for the exact number of days that the program is in session. Please note that registrations are for a full academic year, however, we do allow mid-season withdrawals per our cancellation policy (see below). Our program begins on Tuesday September 11, 2018 and ends on Thursday, May 30, 2019. There is no Kala After School Studio during school holidays, no-school days, etc. In general, we follow the Berkeley Unified School District calendar. Trial Days We want your child to experience our program so your family can decide if it is the best fit for them. We schedule trial days on a space-available basis. Single day trials are $42. If you then sign up for the program, your total tuition will be pro-rated for the time remaining in our year. Contact us to schedule a trial day. Mid-Season Enrollment We offer rolling mid-session enrollment when space is available, and pro-rate tuition based on actual number of remaining days in the program. Cancellation and Withdrawal Policy Because of our small group sizes, we are greatly impacted by mid-year cancellations and withdrawals. Nevertheless, we understand that the needs of families may change during the school year. Registrations are for a full academic year, and days missed due to illness, family travel or other personal reasons will not be refunded. We request a two-week courtesy notice prior to withdrawals. All cancellations must be made in writing via email to classes@kala.org. For all withdrawals, a $75 fee will apply. After the withdrawal fee has been subtracted, we will refund any pre-paid tuition prorated for time not attended after the effective cancellation date.